This Funny Girl Mug is sure to make your life smile from ear to ear. The best gifts are both personal and functional, and thatâs why this funny gift for Coffee Lover is a fantastic choice. You can also dress the mug up even more by placing additional gifts inside, such as stickers, magnets, candies and chocolates, or coffee grounds and tea bags. 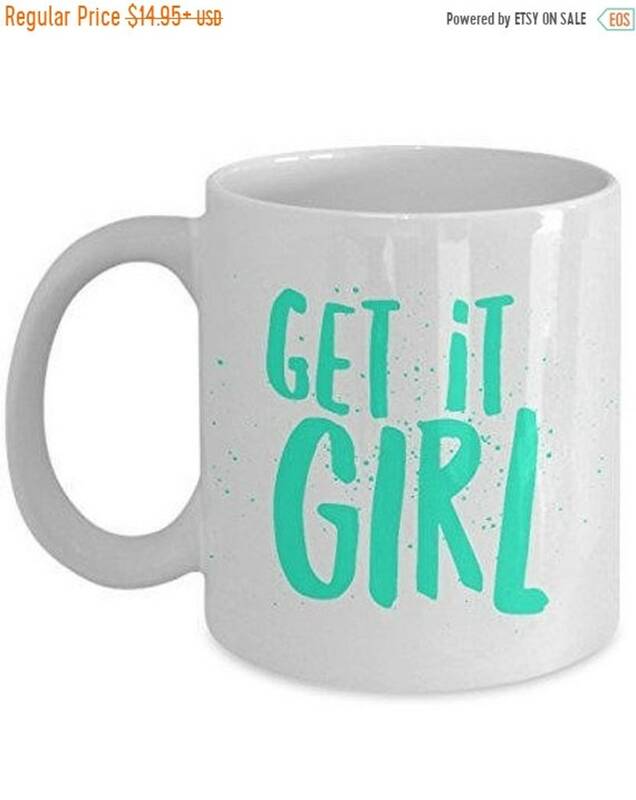 WE ARE THE ONLY AUTHORIZED SELLER OF THIS UNIQUE MUG. IF YOU WANT THE HIGHEST QUALITY COFFEE MUG, YOUâVE COME TO THE RIGHT PLACE. Our mugs come in two sizes: 11 oz and 15 oz. Theyâe crafted from the highest grade ceramic, and our designs are printed and sublimated in the United States. This COMES WITH A 30-DAY MONEY-BACK GUARANTEE. You never have to worry when you do business with us - we stand by our mugs 100%. YOU CAN STOP SEARCHING FOR A GIFT - Youâre covered right here! We continually update our inventory with fresh designs and can only keep so many mugs in stock. So donât wait to order yours! Optional shipping upgrade: INSURANCE. Sometimes accidents happen. If you accidentally damage your item, send us a picture within 60 days and we'll re-send you a new one for free. Very cool mug! I can’t wait to give it as a gift. Excellent mug. I bought this gift for a friend’s birthday and she absolutely loved it. Good quality product and also shipped on time. Overall great experience. Sometimes accidents happen. If you accidentally damage your item, send us a picture within 60 days and we'll re-send you a new one for free.